iGloo's sticky sections are great for adding to header navigation, as well as creating sticky CTA (call-to-action) bars for the top or bottom of your websites. 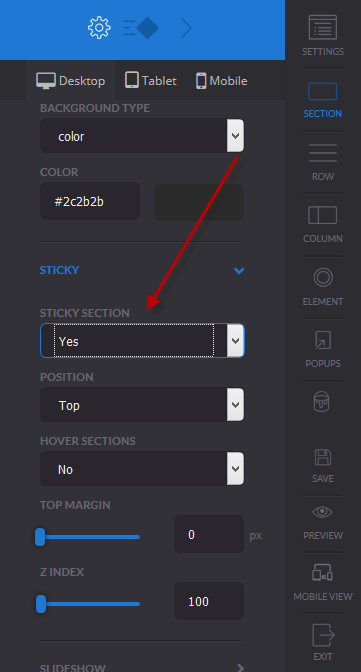 Follow these steps to create a sticky section that will follow your visitor as they scroll through your page. Set the Position to Top or Bottom, depending on where you want the navigation to be located on your page. This option is great if you are doing a launch, promotion or special offer. 1. Click on your CTA section, select Style and set the Sticky Section to Yes. 2. Set the Position to Bottom.